462 pages | 40 B/W Illus. What is meant by outstanding teaching? What makes the best teachers stand out from the rest? How can I develop my own practice to become an outstanding teacher myself? 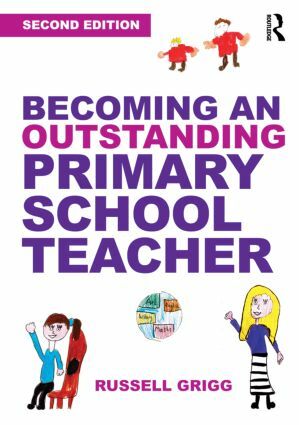 Whether you are training to become a primary school teacher or you are newly qualified and striving to improve your practice, this fully updated second edition of Becoming an Outstanding Primary School Teacher will support, inform and inspire you on your quest for excellence. Throughout, Russell Grigg draws on theory, research and case studies of real classroom practice to discuss what it takes to become an outstanding primary teacher today. This bestselling guide has been comprehensively revised to reflect the latest changes to the curriculum, including the National Curriculum in England for 2014 and Scotland’s Building Curriculum for Excellence. It has also widened its scope to appeal to trainee and serving teachers, reflecting the new Teachers’ Standards. monitoring, assessment, recording and reporting. Becoming an Outstanding Primary Teacher will appeal to undergraduate and postgraduate students, including those on school-based programmes such as Teach First, as well as more experienced teachers seeking inspiration. Chapter 1 -　How Do We Define and Measure Outstanding Teaching? Dr Russell Grigg is Executive Head of Research at the Welsh Centre for Equity in Education.